Rivalry week gave us four 1-1 draws for Western Conference teams, plus a 3-2 win over Houston for Dallas which, while great for Dallas, totally ruined what would’ve been a nicely symmetrical article. Alas. We got some hard-fought games this weekend, now let’s see how they went down. After finding themselves behind in a match again this season, the Quakes salvaged a point from a road trip to Columbus thanks to a goal from Justin Morrow. San Jose went down 1-0 after the Crew’s Gláuber headed in a Federico Higuaín corner in the 68th minute, but it didn’t take long for them to equalize. In the 74th minute, Ramiro Corrales found Morrow in space out wide, and Morrow’s sweet left-footed shot evened the score. While the Earthquakes’ struggles in the early going this season still need to be fully worked out, the away draw against Columbus is encouraging. Also of note this week: San Jose have added Honduran forward Walter Martínez to their roster, though he did not see minutes on Saturday. Our second 1-1 draw of the weekend had RSL and Colorado sharing the points in RSL’s home opener at Rio Tinto. Rapids’ keeper Matt Pickens had to leave the game early due to a broken forearm that will keep him out for 3-4 months, giving Clint Irwin his MLS debut. Despite Pickens’ injury, things looked good for Colorado when rookie Deshorn Brown punished a mistake from Chris Schuler and gave his team a 1-0 lead after 37 minutes. However, RSL were not to be shut out at home, and Álvara Saborío grabbed the equalizer with 10 minutes to go after a nicely weighted pass from Joao Plata. 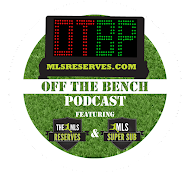 While RSL will be disappointed to only come away with a draw, Colorado will be disappointed not to hold onto three points in a tough environment. Another 1-1 draw, and one that the Timbers left late as they spoiled the party at CenturyLink Field. The Sounders drew first blood in the 13th minute after Steve Zakuani picked up an errant pass in midfield, charged down the left flank, and crossed the ball to Eddie Johnson at the back post. Johnson put away his first goal of the MLS season with a one-time finish. Portland might’ve scored off a penalty in the 24th minute had the penalty been called, but referee Kevin Stott didn’t find anything wrong in Jhon-Kennedy Hurtado’s tackle on Ryan Johnson. In the 90th minute, though, substitute Rodney Wallace got away from Hurtado and headed the ball past a frozen Michael Gspurning and into the back of the net. The away point is an important one for the Timbers, whose road performances last season left a lot to be desired, but the Sounders will be unamused at giving up a win so late. Dallas and Houston just had to break the pattern here and actually score a few goals for Rivalry Week. Things got started in the 34th minute when a Dallas free kick found Houston defender Bobby Boswell, who basically headed the ball off the back of George John’s head, putting Dallas up 1-0. Just two minutes later, Andrew Jacobson lost Ricardo Clark on a corner kick and made it 2-0 to Dallas. Set pieces, set pieces. The second half saw the Dynamo mount a comeback with goals from Andrew Driver and Brad Davis, the second of which had Dallas goalkeeper Fernández looking less than great as he came off his line to collect the ball, spilled it, and allowed Davis to clean it up. Kenny Cooper made things right for Dallas in the 90th minute, however, though he had a little help from his arm. It’s only Dallas’ fourth win against their Texas enemies, and it has them sitting at the top of their conference. Back to 1-1 with LA and Chivas in a physical game that had a lot of fight to it. Referee Ricardo Salazar awarded Joaquín Velázquez a (totally confusing) second yellow in the 40th minute, leaving Chivas with 10 men to ward off the Galaxy. LA enjoyed the bulk of possession and attacked the Goats’ goal relentlessly in the second half, but their execution was lacking until Jack McBean’s header in the 83rd minute, which seemed like it would seal a win. 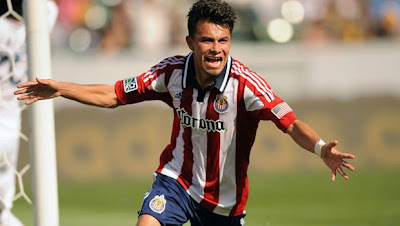 To the surprise of many, though, Chivas battled back for a point and equalized through rookie Carlos Álvarez. The draw is extremely impressive for Chivas, who last year would almost surely have lost, but the Galaxy will need to focus on better finishing to keep this sort of comeback from happening. Welcome to MLS, Obafemi Martins. The forward made his debut with the Sounders in the 70th minute against Portland. Speaking of Seattle, they advanced in the CONCACAF Champions League this week along with the LA Galaxy. 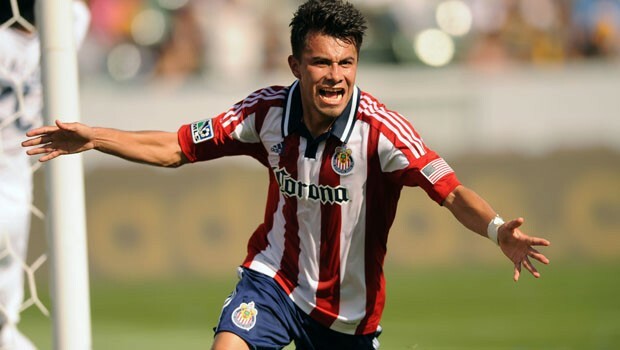 It just could be that El Chelís is turning this Chivas team around. Not only did they weather LA’s attack down a man, but they scored a goal of their own to grab a point. Next week, Vancouver are back and visiting the Houston Dynamo. Then we’ve got three all-west match ups as Dallas host Real Salt Lake, San Jose host Seattle, and LA host Colorado. Finally, Chivas travel to Chicago to try and keep up the good stuff. Clint Irwin. It’s not easy to make your debut by entering an away match against your rivals, but Irwin helped the Rapids earn a point against RSL.